A flexible exhaust connector is a small but essential part of the exhaust system. Choosing the right flexible connector will also protect other exhaust components, such as the catalyst, from too fast wear out and reduce the amount of vibrations generated by the engine. What is a flexible exhaust connector and how does it work? The flexible exhaust connector is also called the vibration damper. It consists of four layers – two main bellows, outer braid and inner braid or pipe. The main bellows are corrugated tubes that reduce vibrations. A purpose of the braid is to increase flexibility and protect against weather conditions. The method of assembling the inner braid into the bellows is important. A good quality flexible connector ensures a constant flue gas flow diameter. The vibrations that the motor produces are transferred to the following components of the exhaust system. The flexible connector is installed behind the exhaust manifold. It is a shield that eliminates some of the vibrations. As a result, further elements – catalyst, silencers and exhaust pipe – are no longer exposed to such high stresses. What material is the flexible exhaust pipe connector made of? The flexible connector should be made of high quality SS 304 steel or higher. This guarantees good resistance to vibrations, but also corrosion and high flue gas temperatures (approx. 600-700 °C). This element of the exhaust system will survive up to 4-5 years without any problems. There are also worse products on the market. Those with a smaller admixture of nickel are more stainless, but also stiffer and less tolerant of vibrations. Another problem with low-grade steel is the quick rusting process. The lifetime of such flexible connector may be even not longer than 3-4 months, especially in countries with variable weather, i.e. where there is heavy rain or snow. Why is a flexible exhaust pipe connector so important? At low-quality steel connectors, a frequent problem is shrinking internal braid, which can reduce the light flow by up to 30%. This, in turn, has an effect on less efficient exhaust emissions, and hence a decrease in engine power. 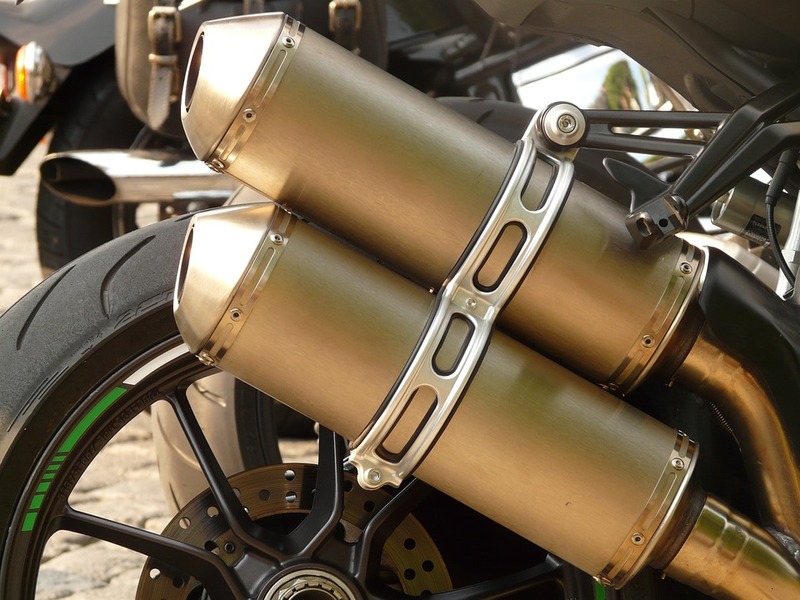 The shaky motor, which is not suppressed by the elastic connector, transfers the entire load to all parts of the exhaust system. The worst situation is for a catalyst that is not designed for these operating conditions and is closest to the exhaust manifold. As a consequence, the lifetime of the catalyst is reduced, but also silencers, exhaust pipes, handles and hangers. Last but not least, the acoustics of the car are equally important. One of the first symptoms of abrasion of a flexible connector is knocking under the chassis. This has influence on lower driving comfort and lower driver concentration. And the damage can be done by accident – by hooking a high curb or a stone or gravel spatter from the tires. There are two-way and unidirectional connections. The former operate independently, in which direction they are mounted. A directional connectors have a blue border on the exhaust side. The difference is in the arrangement of braid and parameters. What to look for when replacing the flexible exhaust pipe connector? If we purchase the connector on our own, we must first measure the length and diameter of the vibration damper. It is best if the measurement is very precise, eg with a caliper. It would be an unpleasant surprise if the new connector turned out to be a few millimeters too short. Fortunately, this element of the exhaust system is most often universal and fits every brand and model. The length of the flexible connector varies between 60 and 350 mm and the diameter between 38 and 90 mm. Of course, dedicated vibration dampers are produced for individual brands. We would install special elements in Citroen C5, Audi A4, A3 and A6, Volkswagen Passat and Golf, Renault Laguna, Megane, Thalia and Scenic, Fiat Palio, Punto, Seicento and Siena, Seat Cordoba, Leon, Toledo and Ibiza, Skoda Octavia, Volvo S40 and V40. They have a flange, on the one hand, which eases assembly.